· builds Rwandan early childhood leadership capacity. We welcome partnerships with U.S. and Rwandan colleges and universities, other INGOs and NGOs, and Rwandan government officials. TEACH Rwanda is a U.S.-based NGO and an INGO in Rwanda. Early childhood education is the foundation for life-long learning. High-quality, hands-on early experiences are essential for children’s early brain development. · Joyous, curious young children thrive and grow at their own pace. · Well-educated teachers creatively plan a Rwandan curriculum that embeds deep and rigorous respect for the country’s culture. · Parents are enthusiastic about modern education methods that enhance their children’s engagement in learning. children for primary school and life in Rwanda. early childhood education and teacher education. Louise Batamuriza, a Rwandan preschool teacher who founded Bright School, invited Jan Brown, her mentor, to help with her new school in January 2012. The school was equipped with just one box of 24 Crayola® Crayons! A month later, TEACH Rwanda became a reality, and lives began to change dramatically on two continents. The vision—to bring world-class, culturally relevant practices in early childhood education to Rwanda—quickly expanded. Today, TEACH Rwanda is transforming the Rwandan early childhood education infrastructure across the country! Alana Augello, M.S., TEACH Rwanda Secretary, is a 2013 Graduate of The Pennsylvania State University, where she obtained her B.S. in Elementary and Kindergarten Education. In 2016 she earned her Master’s Degree from Lehigh University in Educational Leadership. Alana has taught 5th & 6th grade for 2 years at St. Michael the Archangel School in Bethlehem, and is now teaching 5th grade in the Bethlehem Area School District at Hanover Elementary School. She is also involved with extracurricular activities within the school including the school’s Lighthouse Team Facilitator and Fitness Club Advisor. Alana has participated in a numerous international mission trips and educational field experiences. Locations include Mexico, Costa Rica, Germany, and Haiti. 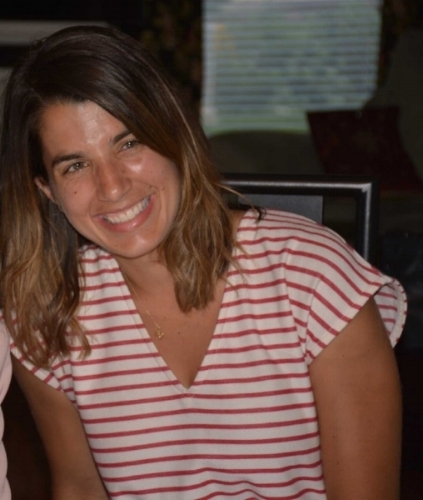 Alana is passionate about making a difference in the life of a child both inside and outside of the U.S.
Alana joined the TEACH Rwanda Board this in the summer of 2016. Alana feels very strongly about and supports all of TEACH Rwanda’s mission and vision statements. She is highly intrigued with the leadership component of the professional development initiatives for the teachers in TEACH Rwanda’s schools. She is looking forward to traveling to Rwanda in the near future. 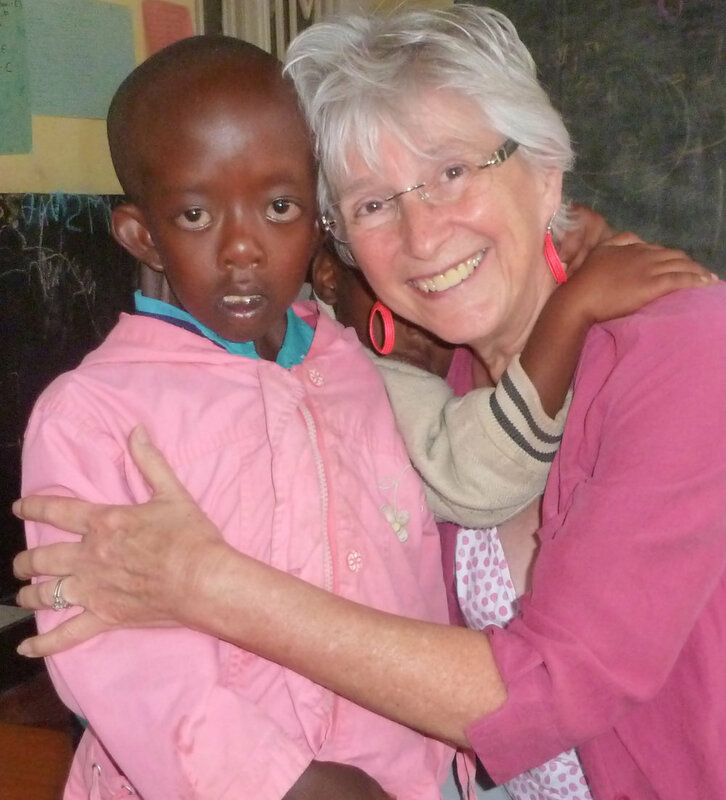 Janet F. Brown, M.Ed., TEACH Rwanda President & Founder, has more than 40 years international experience as a teacher of diverse young children and teacher educator. 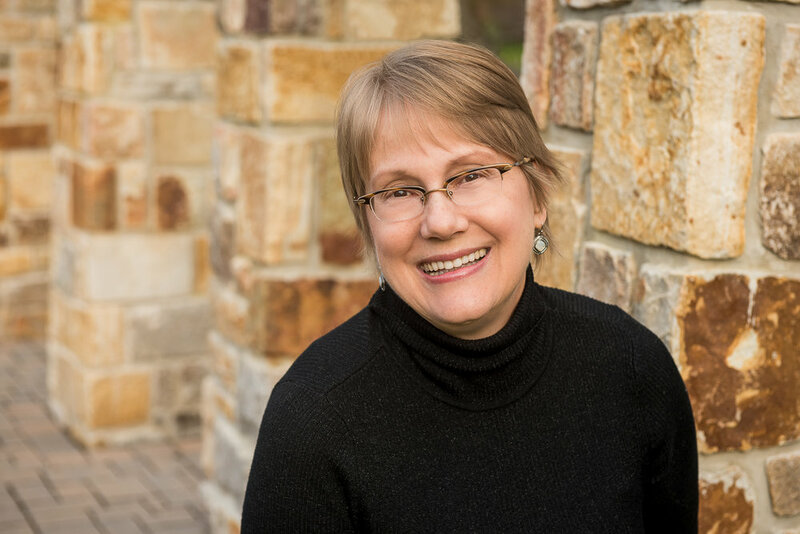 She has served as Director of Publications for the National Association for the Education of Young Children, Managing Editor for Crayola, and as Editor of Dimensions of Early Childhood published by the Southern Early Childhood Association. Jan has worked extensively as a consultant with Art As a Way of Learning®. through Northampton Community College. She is a regular volunteer at Head Start in the Lehigh Valley. She has traveled extensively and began learning about the opportunities for service in Rwanda first-hand in 2010. Jan and her husband William Whipple III are delighted to share 5 adult children and 5 grandchildren. Robert F. DeFinis, Ed.D., is the Executive Director of Philadelphia READS and formerly Vice-President for Workforce Development, Programs, and Economic Innovation at Philadelphia OIC. Dr. DeFinis is also a former K-6 educator and former Campus Director at the Lansdale School of Business in Phoenixville, Pennsylvania. He has lead program management, professional development, teacher/instructor coaching, curriculum development, and training as key drivers of continuous improvement for his organizations. At home, Dr. DeFinis is a dedicated father and engaged community member. If he isn’t coaching his son’s soccer team on an afternoon weekend, or with his family at the dog park running around with his dog Fudge, he can be found volunteering his time at the local Boys and Girls Club of America. He also serves on the Board of Directors for Team Children, TEACH Rwanda, THANKS Society, Recycled Reading, and The Asherah Foundation. Clare Dillard, B.S., TEACH Rwanda Co-Vice President, is a 2012 Honors Graduate of The Pennsylvania State University, where she obtained her B.S Degree in Elementary and Kindergarten Education. She graduated with high distinction and was the recipient of the 2012 Elementary Education Academic Service Award.Clare has taught in urban and suburban school settings in both 4th and 5th grade. She has unique international teaching experiences including teaching primary school students English in Taiwan for a Study Abroad Honors trip, and a month-long teaching internship in Rwanda, Africa. During her month-long internship in Rwanda, Clare taught English to primary school students and mentored genocide orphans, while conducting research for her undergraduate honors thesis, which focused on building resilience in children of poverty and trauma. Clare’s thesis was published by the Schreyer Honors College. Clare’s international teaching experiences not only enriched her life, but also her students’ lives, as she’s able to teach about diversity while sharing first-hand experiences. Clare joined the TEACH Rwanda Board in March 2015 and traveled back to Rwanda in July 2016 to volunteer at TEACH Rwanda’s schools. Clare is very passionate about education and TEACH Rwanda’s mission and vision. She plans to return to Rwanda for more volunteer work. After teaching 4th grade for three years at St. Michael the Archangel School, she landed a teaching position in the Bethlehem Area School District, teaching 5th grade at Farmersville Elementary School, where she is currently the school’s Webmaster and Digital Marketing Club Advisor. Clare arranged to donate 36 laptops to TEACH Rwanda schools on behalf of the Bethlehem Area School District. Clare and Co-Vice President, Tom Smith were married in July 2017 and is pursuing her master’s degree in Education at Lehigh University. I am a native of Atlanta, Georgia. Because my family is from Laos, I was taught from an early age about the importance of education. After learning about TEACH Rwanda, I was excited and honored that I could help support its vision and mission by serving as Treasurer on the Board. I am a graduate of the University of Georgia with a BBA in Economics. My work experience has mainly been in accounting in corporate settings, and I am eager to expand into the non-profit sector. Among the organizations that I volunteer with are Habitat for Humanity, MedShare, Home Depot’s Military Appreciation event, and the Colorectal Cancer Alliance. I completed my first Rock and Roll half-marathon fundraiser in November 2017. In my spare time, I like to read, jog, and relax. Tom Smith, B.S., TEACH Rwanda Co-Vice President, graduated in 2014 with a degree in Communication of Arts and Sciences and Minor in Business from The Pennsylvania State University. Tom is currently a Route Sales Representative for Frito-Lay in Easton, PA.
Tom served as the Head Boys Basketball coach for 8th grade at St. Michael the Archangel School for 2 years. Tom joined the TEACH Rwanda Board in March 2015 and took his first international trip to Rwanda in July 2016, where he volunteered at TEACH Rwanda schools. Tom brings unique talents to the board, such as his business, management, and communication skills. He also brings board experience, as he formally served as the Vice President and Chief of Staff for Penn State Berks’ Student Government Association. Tom is very passionate about the TEACH Rwanda mission and vision and is very driven to see the organization achieve its goals. Tom and Co-Vice President Clare Dillard were married in July 2017. They plan to return to Rwanda for more volunteer work. Raza Visram is an invited board member and main point person for TEACH Rwanda's Africa operations. Raza is currently on sabbatical from the board for family reasons. He is a native of East Africa with connections to the land who deeply understands the ongoing intricacies, strategies, and challenges of operating any organization in Africa. He is very well traveled in Africa and brings more than 22 years of experience and expertise of working at AfricanMecca Safaris, an award-winning Africa travel and tourism organization. Raza's simple beginnings and humble family background has made him a passionate and fervent advocate for the rights of the poor and underserved, as well as giving back to Africa using his time, talent, and treasures with the sole aim of making a better tomorrow: an Africa with a self-sustaining healthy economy supported by an educated population and progressive government which is able to solvethe challenges of education, healthcare, conservation, employment, and more. His honest and open communication style has successfully led TEACH Rwanda to operate at its highest efficiency, allowing donor funds to be maximized for the benefit of TEACH Rwanda schools. His connections with the greater business trade in the United States has further allowed TEACH Rwanda to receive support for its non-profit operation. Raza is on currently on sabbatical while dealing with family health issues. William Whipple III, TEACH Rwanda Business Representative, retired in 2014 from a 33-year career as a Registered Dietitian Nutritionist & Certified Diabetes Educator so that he could go to Rwanda for extended lengths of time with his wife Jan and TEACH Rwanda. Dietetics has a strong diet education component and Bill has had an interest in high-quality education all his life, hearing about it at the family dinner table from his father who was a literature professor and his mother who had an advanced degree in journalism. He finds fascinating the process of implementing high-quality early childhood education (ECE) in Rwanda, where many preschoolers still sit quietly and memorize what the teacher says. He understands now that good ECE gives a strong foundation for learning throughout life and sees potential for making a strong impact on the lives of children in Rwanda. He is learning a lot from, Jan, who is the ECE expert, and contributes his own talents, including communicating in French, a passion for teaching English, mentoring, management, and business skills. He loves being able to contribute in a meaningful way, even though he is “very old” according to his Rwandan friends, (a term of respect). He misses his children, grandchildren (see Jan’s bio), and friends in the U.S. when spending extended periods of time in Rwanda. · Increase opportunities for success. · Identify goals, opportunities, and strategies in Rwanda. TEACH Rwanda to become a Rwandan NGO. TEACH Rwand's bookkeeper, has a wealth of experience as a consultant, speaker, and Treasurer/bookkeeper for nonprofit and commercial organizations in Florida, Pennsylvania and 'virtually' around the world. She is a retired Vice President of Chase Manhattan Bank, where she managed the Commercial Real Estate Appraisal Division in Boca Raton, FL covering nine southeastern states and a portfolio of over $2 billion. A long time yoga and meditation practitioner, Carol now facilitates “Chaos to Calm” in her clients' lives. She brings to the board her volunteer experience at numerous non-profits, including President of the Miami Chapter of Commercial Real Estate Women, various positions on the board of the Deerfield Beach/Miami Chapter of the Theosophical Society, Unity Church board experience, and a lengthy volunteer history for many non-profit organizations. Demetrius brings his business management and administration skills to TEACH Rwanda. He is a Program Specialist at Wakefield Cottage in Albrightsville, Pennsylvania, and was a TEACH Rwanda board member 2016-2017. He is an avid outdoors-man who shares our passion for volunteering and helping others. Hello! My name is Ashley Shaheen and I volunteer with TEACH Rwanda because I am passionate about global education. Every child deserves not only a high-quality education but also a safe, warm, and well-resourced place in which to receive that education. TEACH Rwanda is doing just that for the children of Rwanda, which is why I love volunteering. I am originally from Michigan and now live in New York City. I was an elementary school teacher for 6 years in Chicago and NYC and I am now a pre-school teacher in NYC! Zawadi, a student at Wilkes University, is a support volunteer with TEACH Rwanda. She is a Communications Studies major with a dual concentration in Multi-Media Journalism and Strategic Communication Public Relations. 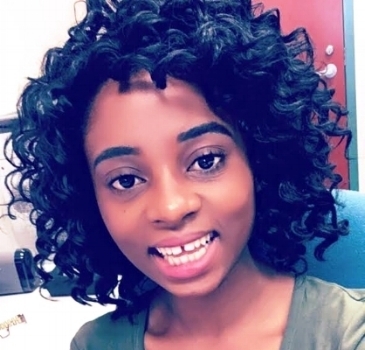 Zawadi is minoring in Leadership, Women Studies, and concentrates in Anthropology. Zawadi is fluent in Swahili, Kirundi, Kibembe, and English. She was born in The Republic of Congo, lived in Tanzania for 10 years, and came to the U.S. in 2008. Her strong global perspective has led her to seek a variety of experiences on and off campus at Wilkes. Zawadi is a member of Public Relations Student Society of America. She enjoys dancing and writing, and is working on an autobiography with many chapters filled, and many yet to be filled. TEACH Rwanda is unique among INGOs working in Rwanda. the United States and Rwanda. Build capacity to provide high-quality professional development to teachers of young children in Rwanda. Enrich children's lives by establishing world-class early childhood teacher education in Rwanda.